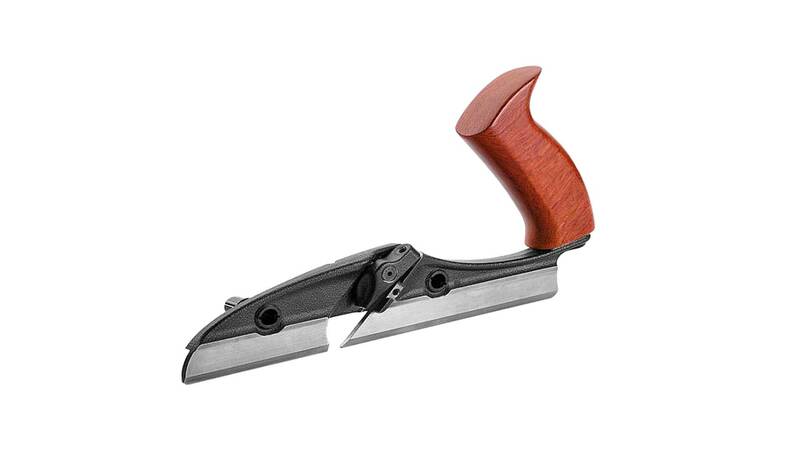 This Veritas small plow plane is ideal for quickly cutting grooves and rabbets, such as on drawer and box bottoms and cabinet backs, and in frame and panel construction. 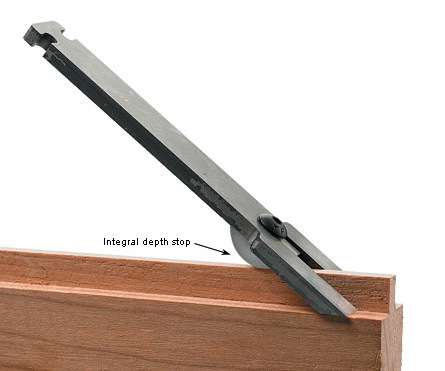 The 168 mm (6-5/8 inch) long fence registers solidly to the workpiece and is through-drilled to accommodate the addition of a wooden fence extension. The fence can be recessed to allow blade to cut rabbets. 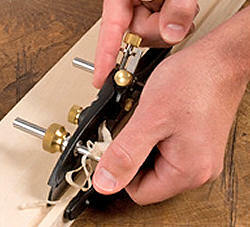 An excellent (and quieter) alternative for work often performed with a router. Comes with 1/4 inch (6.35 mm) A2 steel blade! As above, but left-hand version! 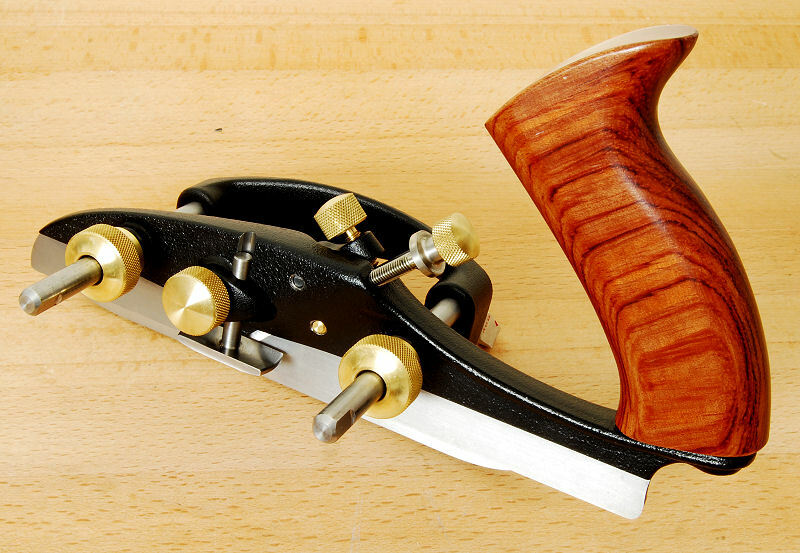 for VERITAS Small Plough Plane. 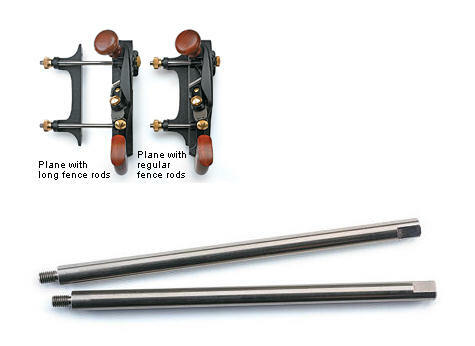 Longer fence rods are desirable when you need to add a thicker auxiliary fence for stable registration against a workpiece, such as with a tapered spacer for angled cuts, but still require use of the full cutting width of the blade. 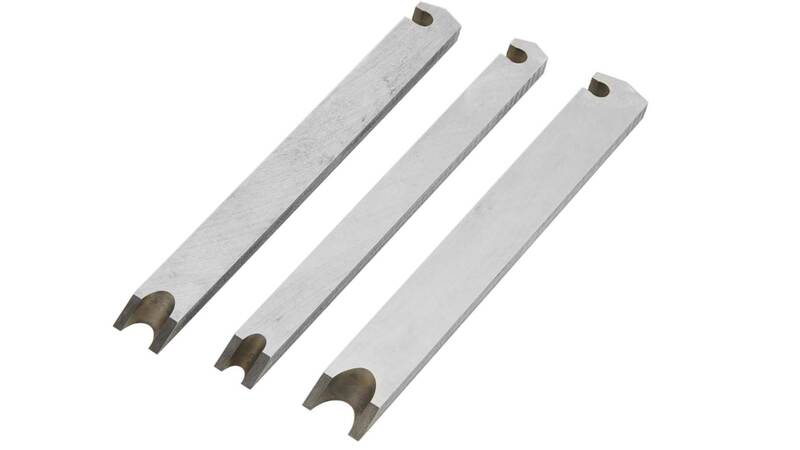 At 6 inch (150 mm) long overall, the stainless-steel rods are 2-1/2 inch (63 mm) longer than the rods supplied with the plane. Flats on the ends of the rods permit wrench tightening. Note: Be carefully when loosening the original rods. Thread can brake when turned with too much force! 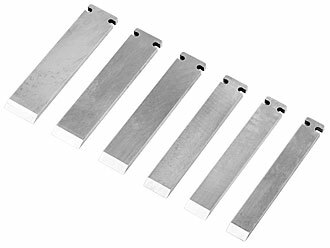 An excellent way to extend the functionality of the Veritas small plow plane, this conversion kit allows the plane to accommodate tongue-cutting blades as well as wide straight blades over 3/8 inch (9.5 mm) wide. 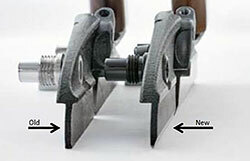 Designed to clamp and support both sides of the cutter to prevent twisting in use, the kit is composed of a 5 inch (125 mm) long machined ductile iron skate with a brass locking knob and a parallel adjustment screw (used to ensure the skate is aligned with the fence). 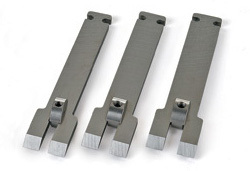 Easy to install or remove from the guide rods, the kit is available in right-hand and left-hand versions to match the Veritas small plow plane. 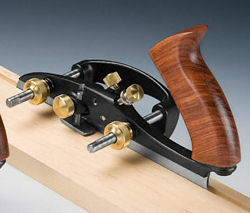 for VERITAS Right Hand Small Plough Plane. 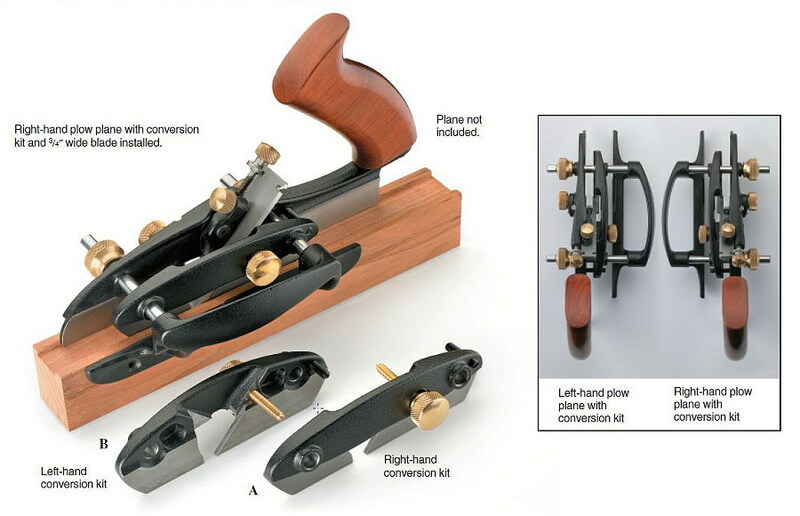 for VERITAS Left Hand Small Plough Plane. 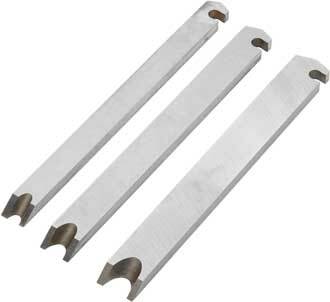 With these tongue cutters, you can now use the small plow plane for tongue-and-groove work. 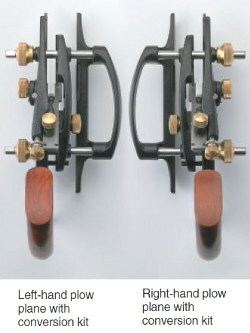 The blades are used in conjunction with the Veritas wide-blade conversion kit (see above), creating an interchangeable blade system that enables you to cut six different tongue widths (grooves are cut with matching sizes of the standard blades) to support stock of varying thicknesses – all using the same plane. Each cutter has an integral depth stop and shaving deflector, and is usable with either the right-hand or left-hand plow planes. 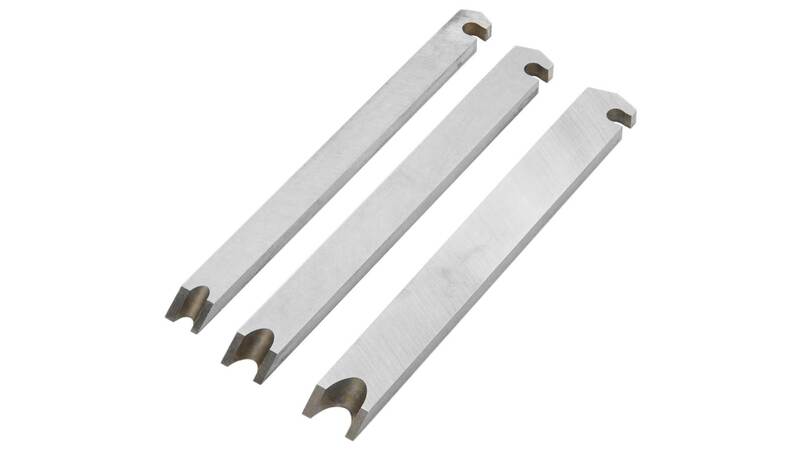 These narrow tongue sizes are particularly well suited for the thinner stock used in cabinetry and drawer carcass construction. 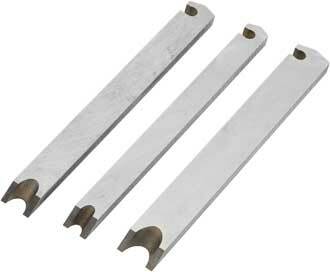 The Veritas wide blades are available in 7/16, 1/2, 9/16, 5/8, 11/16 and 3/4 inch or 12 mm, 16 mm and 18 mm widths. 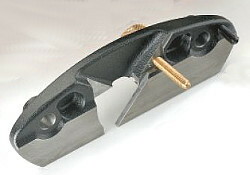 A wide-blade conversion kit (see above) is required for use of all wide blades. 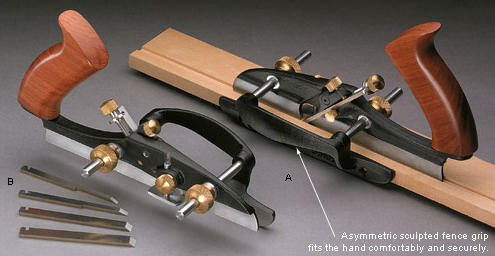 All wide blades are usable with either the right-hand or left-hand plow planes. 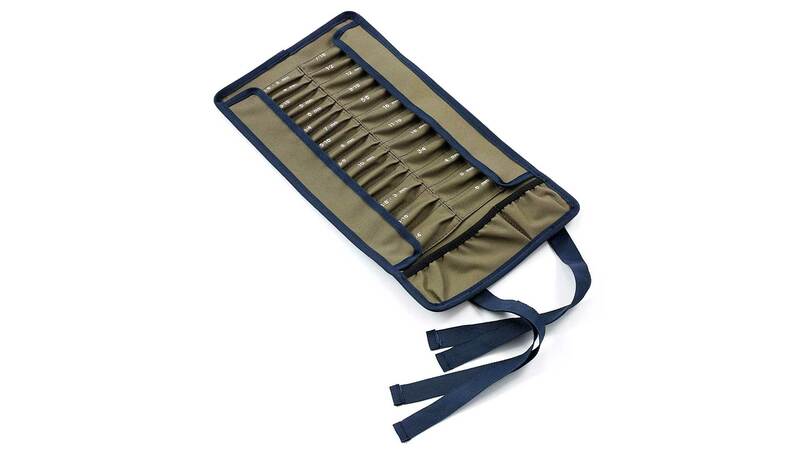 To safely store and organize all the blades, this roll features a total of 28 blade pockets, labelled for all Imperial and metric sizes of the Veritas standard blades, wide blades and tongue-cutting blades, plus two spare pockets for extra blades. 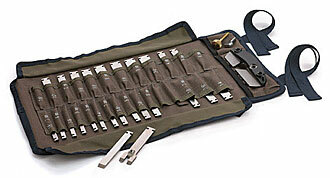 It also includes two pockets for the wide-blade conversion kit and miscellaneous small parts (hex keys, depth stop, etc.). 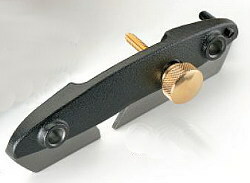 Internal flaps cover and protect the ends of the blades, and sturdy ties secure the roll for transport. Made from double-layered polyester for durability, it measures 229 mm x 432 mm (9 inch x 17 inch) overall. 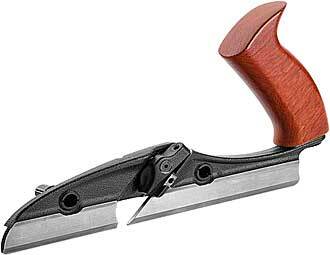 As of March 1st 2016 all Plough Planes we sell will have a modified skate profile allowing the use of beading blades (see below). The new beading blades will not be compatible with the older model Plough Planes we sold until February 2016. To address the needs of current Plough Plane owners who wish to have beading capability we are offering an upgrade skate kit consisting of a narrow skate (see below). If you want to use the above beading blades with your plough plane bought before March 2016, you need this upgrade kit.